"Please don't kill me I want to live," reads a sign painted on the side of jewelry store Fly High Little Bunny. But even a very earnest plea won't save the structure, which will soon to be torn down to make way for a new CVS at the corner of West Alabama and Shepherd. Originally installed in October 1996, the sign survived natural disasters like Tropical Storm Allison and Hurricane Ike but couldn't overcome Houston's tumultuous real estate market. Before that happens, the store's signature design element, a 500-pound, rotating, vampire bunny head, needed to be removed from the building's roof. 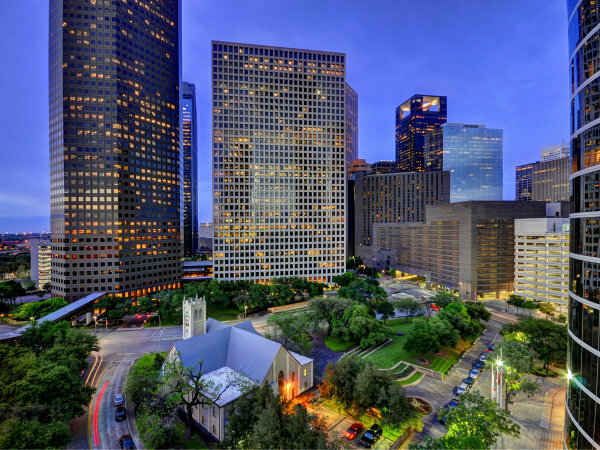 Originally installed in October 1996, the sign survived natural disasters like Tropical Storm Alison and Hurricane Ike but couldn't overcome Houston's tumultuous real estate market. Local metalworker Spencer J. Elliott created the sign and was on hand to supervise its removal. He says that he's trying to find a new home for it at a bar or other place where people will be able to visit it. No takers yet, but hopefully that changes soon. This funky piece of street art deserves a better fate than crushing a metal shed and being loaded onto a trailer. Update: Fly High owner Cody Reaves tells CultureMap he never had any intention of giving the sign away. He is actively searching for a new location where the sign will be proudly displayed.